FORT WORTH, TEXAS – Legendary calf roper, Tuf Cooper, and fiancée, Tiffany McGhan, have teamed up with RIDE TV to release a digital series about life on the rodeo trail. Tuf n’ Tiff is the first series of its kind for RIDE TV, as a digital-only, short-form series. The series begins post-engagement, as Cooper is about to head out for “Cowboy Christmas,” the major summer rodeo run, with McGhan right there to help him prep and get on the road. We will see all of their preparation, ups and downs, trials and triumphs, and the challenges faced as they try to plan their highly anticipated wedding in their lacking spare time. 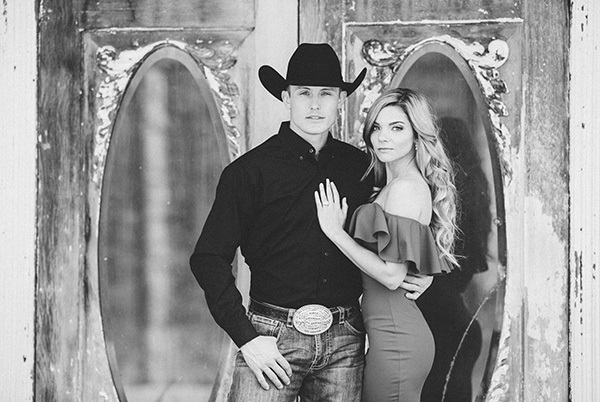 The couple became engaged quite publicly, during the televised awards ceremony, where Cooper was awarded the title of 2017 PRCA All-Around World Champion. 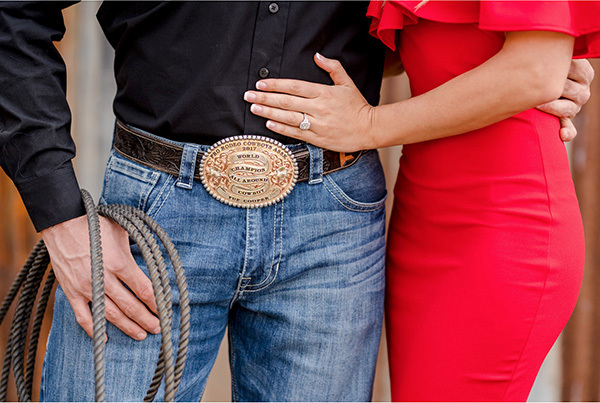 The public was thrilled to see this longstanding fan-favorite rodeo couple commit to tie the knot, after years of keeping their relationship relatively private. Tuf n’ Tiff will premiere on RIDE TV GO on October 1st, and will expand to other platforms, such as RIDE TV’s on-demand channel on Comcast Xfinity1, shortly thereafter. Audiences can expect to see bi-weekly installments of this series leading up to the 2018 National Finals Rodeo, where Cooper is after a “Triple Crown,” meaning he’d finish the year as the leader of the Calf Roping, Steer Tripping and the All-Around Cowboy. Audiences should stay tuned for exciting announcements about Cooper and McGhan’s wedding, as well as more exciting events that could be coming to RIDE TV at the end of the year. Viewers can watch Tuf n’ Tiff starting October 1st, 2018 on RIDE TV GO and shortly after on RIDE TV’s on-demand channel on Comcast Xfinity1. Visit www.RIDETVGO.com and use code TNT25 for a 25% off monthly subscription. To view the Tuf n Tiff teaser, click here. RIDE TV is a privately held corporation based in Fort Worth, Texas. The company was formed in 2011 for the purpose of launching a 24-hour, high definition, television network dedicated to featuring equestrian sports and lifestyle content . RIDE TV launched in October 2014 and is available in the United States, Asia, Latin America and Canada. For more information, visit www.RIDETV.com.